Why Should We Ground the Body to Earth? Why being directly connected to, and in symbiosis with Nature – especially having direct contact with the Earth – is inherently good for us, and why any form of disconnection – insulation from or interference with this natural symbiosis and connection – may not be good for us. “Everyone has the right to freedom of opinion and expression; this right includes freedom to hold opinions without interference and to seek, receive and impart information and ideas through any media and regardless of frontiers.” ARTICLE 19. The Universal Declaration of Human Rights, adopted by the United Nations General Assembly on December 10, 1948, in Paris. The following information is taken from an article based upon the published science (in English) of eminent Biophysicists in 1993 by Haug International s.p.r.l. First published in German in 1990 by Karl F. Haug Verlag GmbH & Co.
‘The science of biophysics has established that all life is firmly imprinted with the stamp of the environment: “The body is thus firmly integrated into our environment, is in constant exchange with it and is controlled by it, i.e. all our various biorhythms, our organ and metabolic functions (normally) run synchronously with the ‘pulse rhythm’ of the universe. If this coordination is disturbed, disease and possibly death occur.” Control pulses come firstly from what are referred to as Schumann waves, arising in the ionosphere with a frequency of 7.83Hz that corresponds precisely with the frequency of the hippocampus in the brain of all mammals. The hippocampus in humans is responsible for our memory and survival among other factors. ‘Our nervous system also responds to the electromagnetic pulses of the Schumann waves. These induce miniature potentials in the nerve loops, which on repetition add up to action potentials and can actively intervene in cybernetic control circuits of the body. The autonomic nervous system is autonomic but adapted to the environment and resonates with it. It becomes very clear that we are an electrical or energy system and depend on and interact with balanced and natural energies around us for our health, wellbeing and survival. The importance of this and the importance of the Earth’s Schumann waves, as an example, are evidenced by the fact that NASA builds Schumann wave generators into its manned space flights to keep their astronauts physiologically and psychologically healthy. 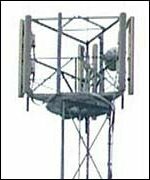 “However, these Schumann waves can be interfered with or altered in towns and cities and even the countryside by technical interference frequencies from all forms of radio and other communication transmitters, railway networks and high-tension power lines et al. There is another signal spectrum that we humans integrate with and this is known as the electron plasma waves of trace elements and crystals in the lithosphere. Although these electromagnetic radiations are far weaker in intensity, they are in precise resonance with the organism, in which the same trace elements also occur, particularly in the blood. These too can be interfered with by communications transmitters. It is quite clear from the aforementioned information that our environment has played a large part in our evolution and survival, enabling us to become what we are today. That it continues to play a large part in the continuity of our species is also without question. (This of course applies to all living entities too). If our communication and interaction with nature and the environment is interfered with, then it is also clear that this interference will have a detrimental affect upon our biophysical functionality and corresponding physiology. Does Our Modern Day Living Represent a Health Hazard? Today the human body, more so than any other living entity, is gradually and increasingly being disconnected with, or insulated from, the Earth. This is a vital and important connection that we have had and have evolved with for many thousands of years. Today, due to our modern-day living, man-made fabrics and footwear, high rise offices and buildings, and a lot more, we seem to have lost this vitally important biological and biophysical connection essential for well-being. 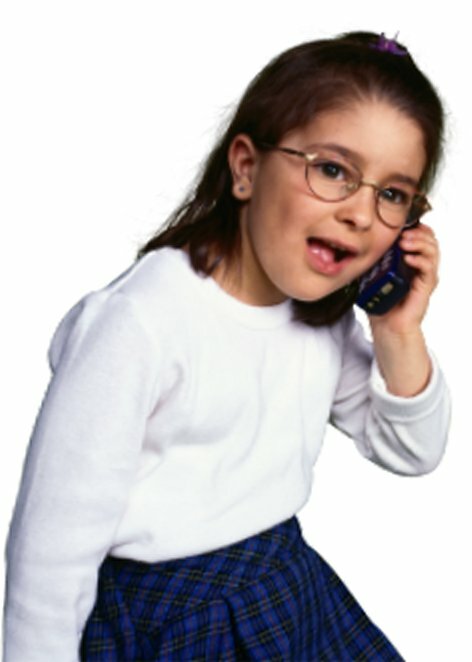 In view of the aforementioned information, and with the increasing plethora of human-created electrical, microwave and wireless radiation we are being subjected to today, is it prudent to ask if this disconnection from the Earth and a natural environment is actually doing us any good or not? Is It Important To Have a Connection With Earth – To be Grounded? Many people have noticed that they feel better when they spend time barefoot in the outdoors, walking barefoot on the seashore, feet in the edge of the lapping waters, or just laid upon the Earth. The known effect of grounding – or being grounded – is that it discharges and prevents the build up of electrical stress. This knowledge has been employed in the Electro-Static Discharge (ESD) business for many years in the UK as a form of safety and one of reducing (grounding) voltage (Static Electricity) levels in the human body to protect both humans and sensitive electronic equipment. However, our modern lifestyle prohibits most people from spending time in direct contact with the earth. We have evolved in direct contact with the earth, walking barefoot, sleeping on the earth and using natural footwear that kept us ‘earthed’ and ‘grounded’. Today we wear footwear with rubber-molded soles that insulate us from contact with the Earth. We sleep upstairs, away from connection with the earth. In the mid-1900s in the UK we switched our electricity supply from Direct Current (DC) to Alternating Current (AC), and with this change came the Electric and Electromagnetic fields that can affect us so much today. Additionally, with the plethora of mobile phone masts and all things wireless, we are being bombarded with electrical radiation from all quarters which can lead to a build up of electrical stress. Is it any wonder that more and more people are becoming electro-sensitive (ES) – a known and recognised medical condition in Sweden – and that chronic conditions are on the rise? Therefore, it follows that in today’s electrically-polluted world it is prudent to allow our body the opportunity to be able to discharge as much of this unnatural and excessive electrical stress as it can, as often as it can. For our body to do this it needs to be connected with nature, with the earth. Having a direct conductive connection with the Earth allows us to experience and enjoy that connection with Nature and the Earth’s essential energy field that we once enjoyed as a matter of course, without interference, for thousands of years. When the body is grounded to earth it ceases to act just as an antennae, it then becomes a conductor as well. Thus it is able to discharge excessive and unrequired voltage (static & information) from the body. This is after all the premise upon which ESD to ground products work, and have done so, for over 30 years! In today’s electrically-polluted world, re-connecting with the earth as often as possible – like in the old days – could well prove to be one of the most important decisions that we ever take! How Can We Re-Connect With Nature – The Earth? Reconnecting with Nature and the Earth can be achieved in a number of ways. Being outdoors in unspoilt/upolluted areas and naturally by going barefoot as often as possible, or swimming in unpolluted sea is one way. Two, wear leather-soled footwear or ESD Grounding shoes. Three, use a Car Grounding Pad and/or a Vehicle Grounding Strip on your car that connects the ‘Faraday Cage’ of the metallic car with the surface/ground below to earth/discharge the electrostatic charge. Four, by using what is referred to as a ‘Barefoot Substitute’ – a conductive material that ‘connects’ the body to ground, to the earth. This particular way of re-connection with the earth and nature can be through connecting an external Ground Rod to any suitable conductive material, or through connecting conductive material to a dedicated Mains Earth Connection Kit, as outlined above. IMPORTANT NOTE: There are, albeit just a few, web sites on the Internet circulating information and so-called science that would indicate to the reader that grounding the body may be dangerous!! This is simply not true. Their reasoning, science and method of testing is deeply flawed, on many levels. The ‘science’ and ‘testing’ assumes as fact that the body is a volume conductor when nothing could be further from the truth! “Connecting the body to the earth essentially insulates the body from the influences of ambient electrical fields…Under these conditions, the body is maintained at the same electrical potential or voltage as the earth. Ambient fields cannot affect the potential on the body…Similarly, a body connected to the earth’s infinite supply of electrons will be at the same electrical potential…” Oschman, James L, 2008. In other words, the ‘field strength’ or ‘ambient field’ that the body is being subjected to would have to be able to change the entire field of the Earth before it could affect a change in the body. This is obviously impossible! We would like to share important information concerning grounding the body that everybody should read before purchasing any grounding solution. This information covers a brief history of ‘grounding / earthing’, the types of materials that are available to enable grounding to be effective, and probably the most important piece of information today, what Safety Features to look out for. Connecting the human body to the Earth using Conductive & Dissipative Materials is not a new concept. In fact, in the UK & EU (and many other countries too), this simple process has been utilised in many ways, and for many reasons, for over 30 Years. Both inside and outside of Industry/Business. This ‘connection’ to the Earth is generically referred to as ‘being grounded’ or ‘grounding’ (US terminology) and ‘being earthed’ or ‘earthing’ (British terminology). Conductive & Dissipative materials have been used for many years for both ‘Personal’, and ‘Personnel’ ‘Body Grounding’ in order to ‘equalise potential’ between the Body and the Earth. However, this process of ‘grounding the body’ was specifially designed to Remove Excess Static Electricity from the body and sensitive electronic components with 100% Safety & Effectiveness in mind. However, the concept of ‘Earthing the Body’ using far more conductive materials – especially at night time – for improving wellbeing is a new concept, and this is down to one person’s vision and perseverance – that person is Clint Ober; co- Author of the best selling book in its’ category: Earthing – The most important health discovery ever? Read our Articles Section on the Dangers of EMFs to understand the importance of reducing AC body Voltage. How Can We Ground/Earth The Body? For ‘Grounding’ purposes there are only three (3) types of material for the reader to consider: 1. Conductive, 2. Dissipative (also known as AntiStatic) and, 3. Insulative. 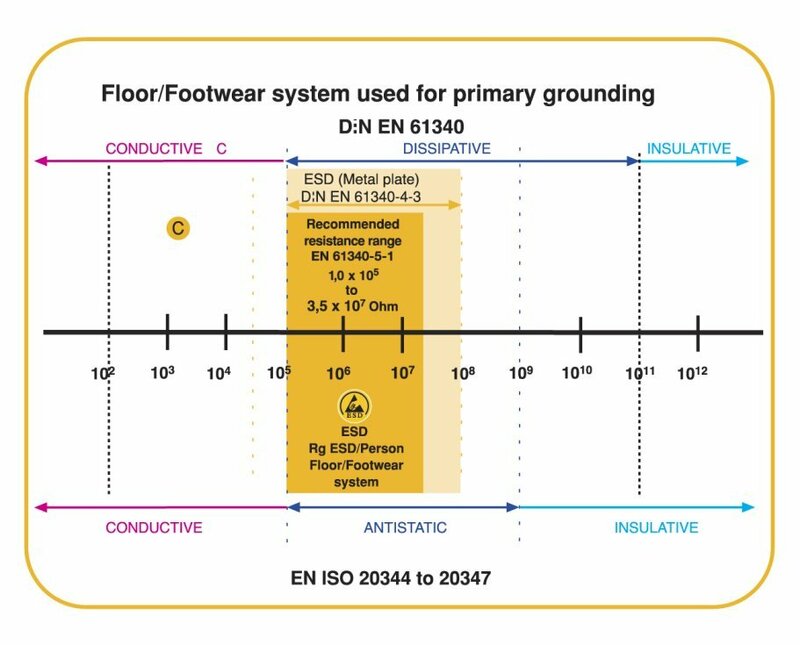 An example of the difference in resistance to ground (measured in Ohms as rg) can be found in the following Industry Standard Table: Whilst this Table applies to flooring and footwear it is a good example of ‘Primary Grounding’. As an example, for any material (or substance) to be classified as being Conductive, and therefore able to offer excellent two way connection and interaction with the Earth, it must be in the range of 101 (or less) – 105 Ohms (resistance to ground, rg). Dissipative (antistatic) materials are found in the range of 106 – 1011 Ohms (though some Industry Standards accept 1012). Insulative materials on the other hand – used as soles for almost ALL shoes today – totally insulate us from any connection and interaction with the earth/ground and any voltage discharge and consequential benefit this connection may provide. In numerous tests that we have carried out using a professional AC voltage tester with true RMS capability with an accuracy of 0.05%, we have established that it is the resistance (or the level of conductivity) of the material being used for earthing/grounding purposes that actually makes the difference in body voltage reduction. Therefore, the level of Body voltage reduction has – within certain limits – nothing to do with the ‘inline resistors’ built into the earthing leads and ground plugs that are there to protect us from electric shock! We have tested a very conductive Barefoot Earthing Mat using a 50 KOhm & a 100 KOhm Resistor with ground rod, and up to 3 x 1 Meg Ohm resistors ‘in line’ connected to a Mains Earth outlet, and the reduction in body voltage to extremely low mV has been the same on every occasion. As has the increase in DC Body Voltage (flow of electrons from the earth). However, when we carried out the same tests on less conductive materials and dissipative materials, the reduction in AC body voltage was a lot less depending on the resistance/conductivity of the material used in the tests, and likewise the increase in DC body was reduced in line with higher resistance/lower conductivity of the material. We will be publishing our findings in the near future. Remember, we have evolved with direct connection with the earth for thousands, if not millions of years, and this abiotic and biotic connection/interaction with nature has been vital to our health, development and well being. So reconnection with the earth using the most conductive material is important on many levels. Ideally, in our opinion, the reader should be looking at a material used for earthing/grounding that is no more than 100 x 103 Ohms in resistance per square, because the lower the ‘resistance’ the more conductive the material is. This allows for greater AC body voltage reduction, a greater flow of free electrons from the Earth, which in turn is better for the body and for our wellbeing. Therefore, in our opinion, less than 100 KOhms resistance is highly recommended – which would be written as < 100 x 103 Ohms. Though lower resistance levels are even better still at reducing body voltage! We also offer UK Socket Checkers to easily establish if your sockets are wired correctly, and that you do have a valid Earth connection that can be used to safely Ground/Earth the Body. All of our Connection Kits for Barefoot Connections Earthing Products meet all the relevant and required Health & Safety Standards for country of use, so your health is totally protected, yet you will still attain the best body voltage reduction available.